It's no surprise we're enormous admirers of the work of David Foster Wallace, from his awesome masterpiece Infinite Jest to what is quite possibly the best commencement speech ever. So we were more than a little excited when The Wrap reported today that Anonymous Content will be producing a biopic of the writer's life. 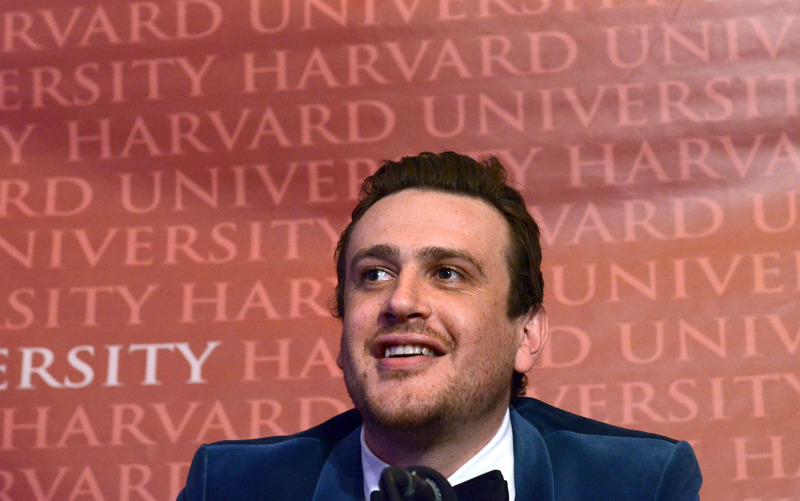 Called The End of the Tour, t he film is set to star Jason Segel as Foster Wallace and Jesse Eisenberg as the Rolling Stone reporter David Lipsky. The script, adapted from Lipsky's book, Although of Course You End Up Becoming Yourself: A Road Trip With David Foster Wallace, follows the two protagonists as they travel across the country on the Infinite Jest book tour. Directed by James Ponsoldt (who also had a stint at Rolling Stone magazine during his college days), the film will tentatively begin shooting some time in February/March 2014. While Segel, most known for his portrayal of the lovable goofball in comedies such as Forgetting Sarah Marshall and I Love You, Man, might not immediately spring to mind when thinking of Wallace, we're betting that he can translate some of the same awkward angst he perfected in the cult TV show Freaks and Geeks into his portrayal of the famously tortured young author. We're definitively excited.